The club is excited to launch a new program to help players / families in need in providing equipment that will be collected within the club called D.R.E.A.M. 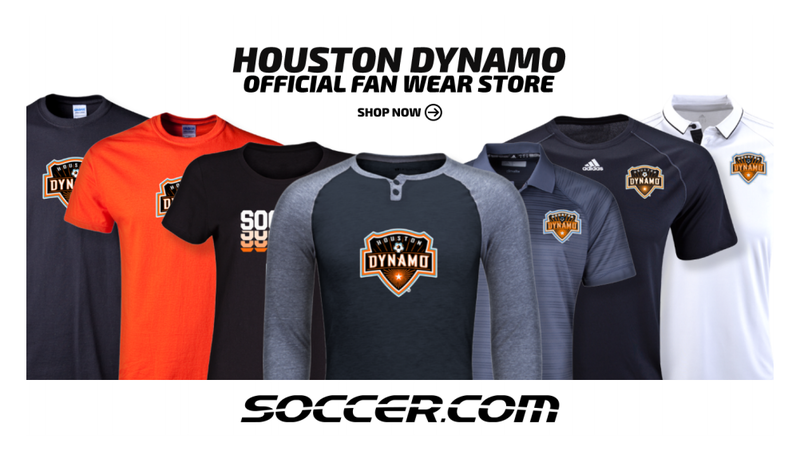 (Dynamo/Dash Rewarding Equipment Apparel Mission). 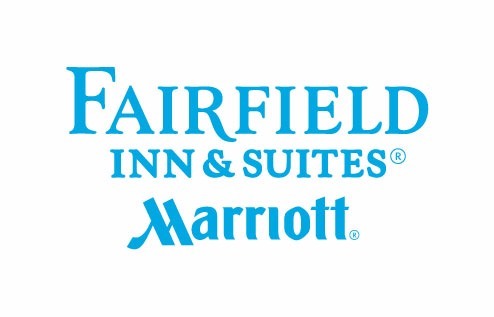 We will be collecting gently used soccer items: uniforms, balls, cleats, shin guards, socks, GK gloves and backpacks. Please save the equipment from previous years and help those who are less fortunate! Collections will take place during the Houston Cup Tournament, August 19-20 @ Alden Bridge and Carl Barton sites (7:30am – 5:00pm) and during the second week of training (8/28 – 8/31) at Gosling Park and Bear Branch (5:00pm – 8:00pm). The equipment will be sent to multiple organizations domestically and internationally. Some of the equipment will go to the city of Tegucigalpa, Honduras and help out a club under the guidance of Ruben Mares (former coach with Texas Rush). For more information on the program, please contact Kasia Hickey @ kasia.hickey@gmail.com or call (281) 772-6987. “Hello Kasia and thank you for your support. I am very appreciative of whatever you have as it will be a blessing for my kids. The children are from an impoverished area of Tegucigalpa which is the capital of Honduras. We look forward to traveling to The Woodlands, TX to compete in the Houston Youth Cup 2017 and taking back some of the equipment that you have collected for our club. Thank you again for all your help, it’s very much appreciated.” Coach Ruben Mares, Tegucigalpa, Honduras. 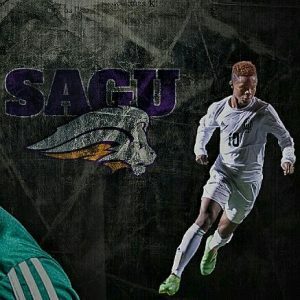 The club is very excited to announce that Mazvita Chidarara, U18 Boys Development Academy will be attending Southwestern Assemblies of God in Waxahachie, TX to compete this coming fall as a freshmen for the men’s soccer team. 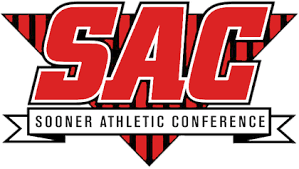 The team plays within the NAIA and is a member of the Sooner Athletic Conference. “Being afforded the opportunity to play soccer and get an education means a great deal to me. I never would’ve imagined such an opportunity had it not been for the Texas Rush Academy.” Mazvita Chidarara, U18 Boys Development Academy. A team of boys born in 2004 recently traveled to Guadalajara, Mexico for an international youth soccer event. The event, Copa Chivas 2017, was hosted by the professional club Club Deportivo Guadalajara or more commonly known as Chivas Guadalajara. Chivas Guadalajara were recently crowned champions of Liga MX, Mexico’s top division for professional soccer. The event is endorsed by the Mexico Federation of soccer and drew top teams from the US and Central America. Clubs from the US included FC Dallas, Houston Dynamo, San Diego Surf and Slammers FC. International clubs included Chivas, Pumas, Tigres, Monterrey and Santos Elite. Copa Chivas 2017 provided high level competition that saw our ’04 Boys compile a record of 1-2-1 over the four matches. The team played against Seleccion Cordica from Guadalajara, Marval FC from Los Mochis, Sinaloa and Santos Elite an academy from Santos Torreon. All opponents were Mexican teams from three different states. “The Copa Chivas was a great cultural experience for our boys internationally. Playing in Guadalajara provided difficult challenges and unique life lessons. Our team displayed commendable work ethic, responded well to adverse moments and played some great soccer.” Coach Brian Cvilikas, Director of Coaching – Youth Boys. “Copa Chivas was a perfect event for the purpose of taking this group of talented players internationally for the first time. Boys faced adversity in different ways and the way they responded to this matter was amazing. 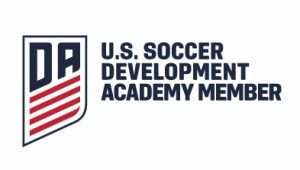 The experience that every single player acquired on and off the field in this trip will help them and make a positive impact in their personal lives.” Coach Alex Cardenas, Head Coach, U19 Boys Development Academy. The boys got to see Estadio Chivas where the 2017-2018 Liga MX season kicked off with local teams Chivas and Atlas starting their campaigns. They experienced the city culture walking downtown, going into the market, dining at local restaurants, and sampling the local cuisine. They scored some local professional jerseys and other souvenirs. They also had the opportunity to see the Guadalajara Cathedral, Teatro Degollado and the Plaza de Armas. 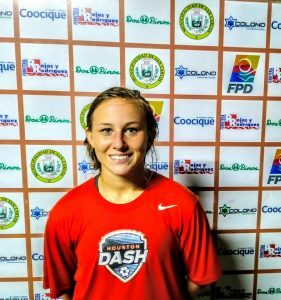 Ashtyn Franks (GK) is currently training at the Muelle and Quesada complexes in San Carlos, Costa Rica and playing with the San Carlos women’s team which is currently being coached by Norman Corrales, Head Coach and Frank Carrillo, GK Coach. Coach Carrillo had the pleasure of coaching and developing current Real Madrid GK, Keylor Navas (GK). He is held in high regard for the specific training within the GK position. “Being invited to train in Costa Rica was an honor. I learned so much about the culture of the country and their love for futbol. Training was hard, sometimes 6 hours a day in wind, rain, fog, storms and heat! I know I improved my technical training at the Academia de Porertos of Frank Carrillo. The one on one instruction and the training techniques were invaluable. Training with Norman Corrales and the Atheltico de Deportiva de San Carlos Feminino team really helped me understand another country’s passion for soccer. They went to school, practiced at lunch, went back to school and then practiced until dark 4 days a week and played games on the weekend. It’s a memory I will never forget. I absolutely loved the experience, improved my game, created friends and the memories will last a lifetime.” Ashtyn Franks, 1999/00 Pre-Academy Girls. “For Ashtyn to have this opportunity is tremendous for her own development in preparation for the new fall season. Everything she has learned and the hard work will definitely help her progress this season individually. We look forward to having her compete for the club this season.” Benn Fernie, 1999/00 Pre-Academy Head Coach. 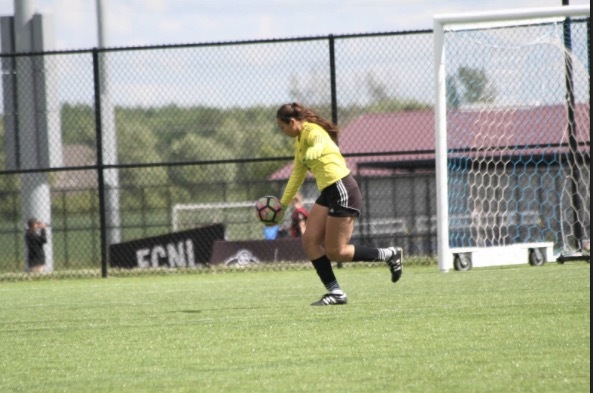 “Ashtyn is an extremely good goalkeeper that is fast, explosive and fearless. She has the ability with another year of training to be able to compete for an invite to a national team camp. 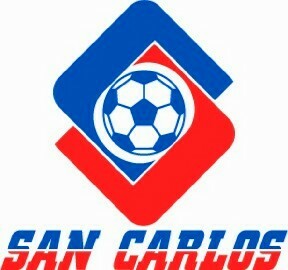 I’d like to continue training her here in Costa Rica” Frank Carrillo, GK Coach. “Her ability to get up and down quickly is excellent. Her reaction and reflexes are elite and her desire to improve daily is what really impressed me. She has the blood of a champion and trained hard every day. She has the spirit and commitment you need. I would welcome her back to play her in Costa Rica whenever she is ready. The sky is the limit for Ashtyn.” Norman Corrales – Head Coach AD San Carlos Women. 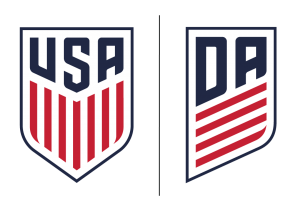 As the club enters the first fall season in the Girls Development Academy two players (Sarah Piper / Samantha Estrada) have just been recently invited to attend the US U-18 WNT camp in Fairfax, Virginia from August 6-14. Head Coach Jaime Frias has called up 28 players, 25 born in 2000 and three in 1999. 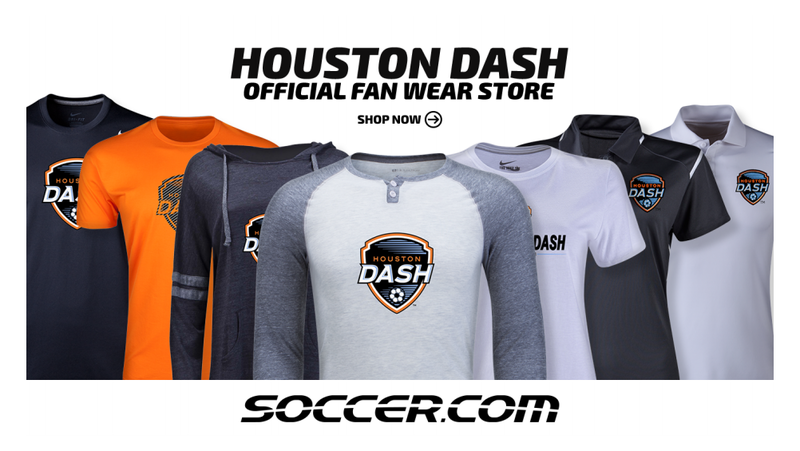 The Houston Dash Youth Soccer Club is the only youth club in the city of Houston to offer this national level of competition. “Every opportunity is a gift from above. I would also like to thank the club for all their support and guidance over the time period I have been associated with them. 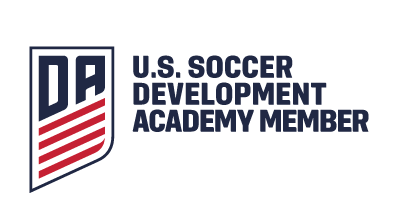 They have been a tremendous help in my development.” Sammy Estrada, U18 DA Girls. 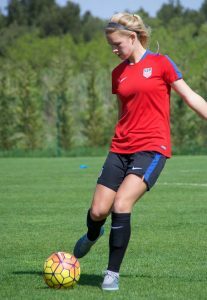 “I am very excited to be invited into the U18 WNT training camp in Virginia and looking forward to the new DA season in terms of the high quality training and competition.” Sarah Piper, US U18 GDA / U18 WNT. The Houston Dynamo | Dash Youth Soccer Club will be hosting the first annual Houston Youth Cup 2017 (formerly Rush Cup) brought to you by Raising Cane’s Chicken Fingers. The tournament will be staged in the north part of Houston at multiple geographical locations. All the proceeds from the tournament are earmarked to the club’s scholarship fund. 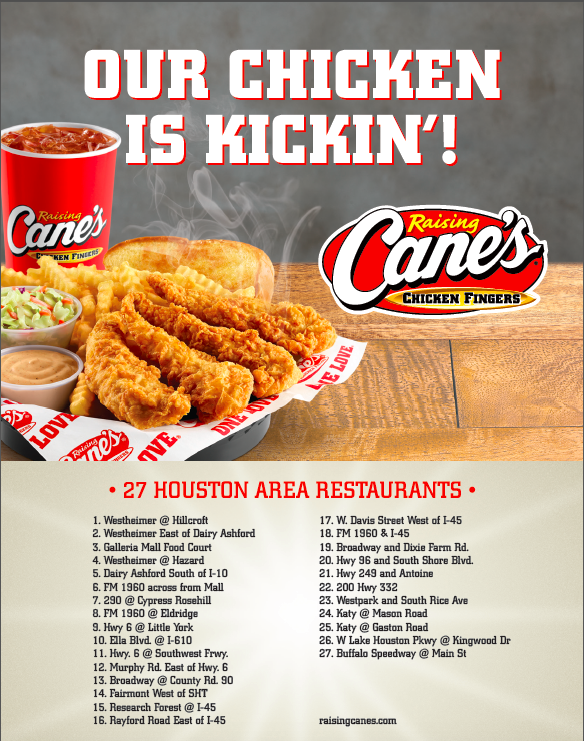 “It’s fantastic news that Raising Cane’s Chicken Fingers have partnered with the first annual Houston Youth Cup 2017. The event allows teams to prepare for their regular league season after the long summer break. 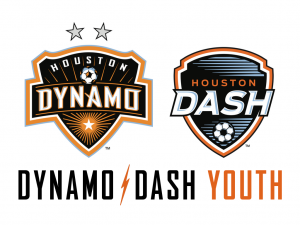 We look forward to this new partnership and to promoting the company’s product and services to our membership over the next 12 months.” Simon Boddison, Director of Soccer Operations, Houston Dynamo | Dash Youth Soccer Club. “We are excited to announce that Raising Cane’s Chicken Fingers is partnering with the Dynamo | Dash Youth Soccer Club and is a leading sponsor for the first annual Houston Youth Cup 2017. The event will have a record breaking number of teams and will be played on the best soccer facilities in Houston. Raising Cane’s is proud to be apart of the local Houston soccer community and now partnering with the club. 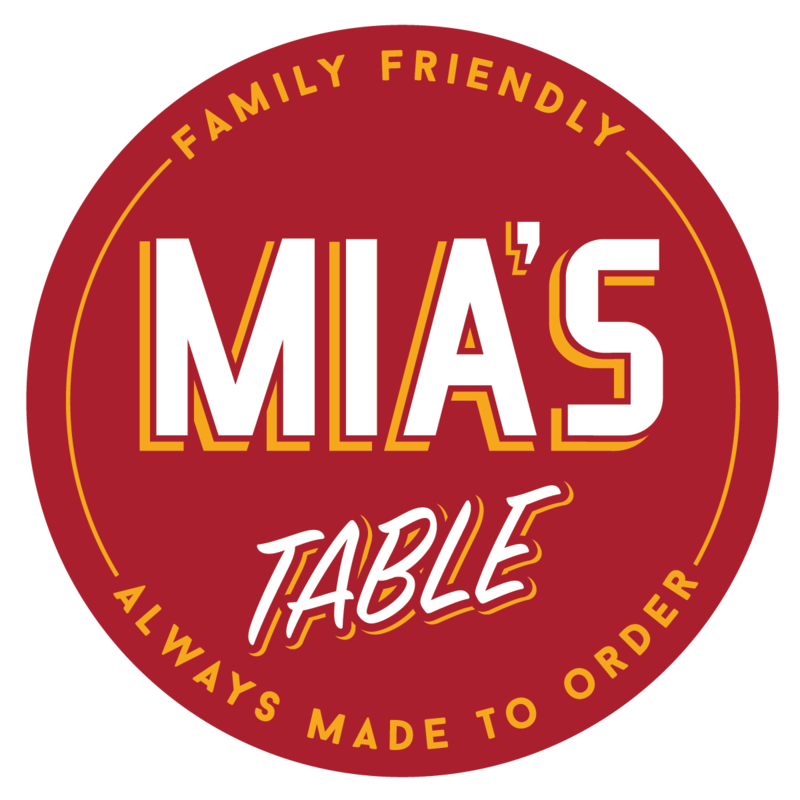 We look forward to promoting our fresh, never ever frozen chicken fingers and all we can offer to your members over the next year!” Ava Wick Hernandez, Restaurant Marketing Coordinator.